A Global Friendship’s goal is to alleviate poverty in developing regions by focusing on empowering women. Through our main program “Project Home”, we have empowered under-served communities by helping local artisans grow their micro/small businesses in Thailand, Indonesia, Peru, and India. However, this time around we wanted to bring it back home to the United States, specifically to the Pine Ridge Reservation in South Dakota. Pine Ridge Reservation is home to over 30,000 Native Americans with an almost 80% unemployment rate. It is a community rich in culture and history, and a burning desire to improve their lives. Women at Pine Ridge are working with our designers to develop bands and necklaces that are the perfect mix of contemporary design and tradition. This new design is fresh, innovative, delicate and importantly, on-trend. Not only are the women involved in conceptual design, they are taught to grow their small business to sustain opportunity in the community. Our main product was the Sage Braid. This past summer has been extremely trying on the ladies on the Pine Ridge Reservation. 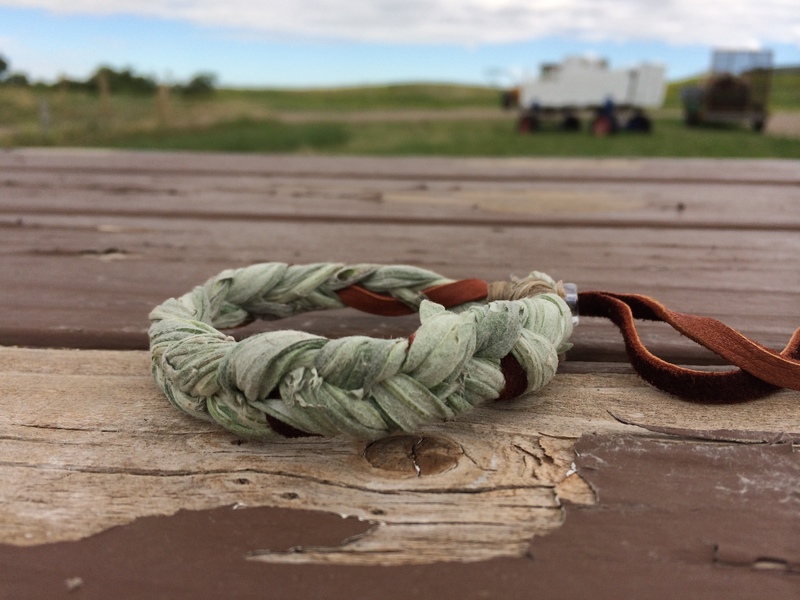 After a workshop early this summer for the production of The Sage Braid, we thought we were off to an excellent start: ready to fill online and boutique orders as long as the Braids kept coming in from the ladies out on Pine Ridge. The main issue we ran into was the fact that sage is not malleable as we were expecting it to be. It dries out very quickly and is almost unusable after just a day of delicate handling. This means every morning, early morning, sage needs to be picked before the training session. However the sage wouldn’t last the week’s training session. 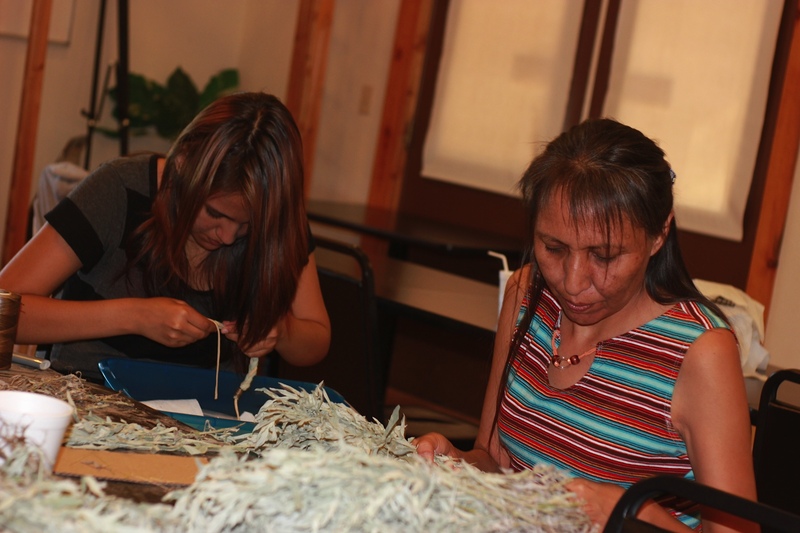 Given our desire to use a sustainable, natural product, one that grows abundantly on the reservation, we thought sage was a good choice. However when we realized the issues of choosing a seasonal plant for a product we want to sell year-round, we brainstormed and found sweet-grass to be a viable alternative. Unlike sage, sweet-grass can be re-wetted and therefore does not limit us to strict time parameters. Going forward it is ideal to consider all the limitations of raw materials. Despite the many great qualities, often the set backs need to be realized in order to save time, and money. No offence, but the photo gallery slide show makes this article difficult to read.